First of all I should probably apologise for not writing “The Sunday Topic” post last week. As you all know I was away camping so I wasn’t able to prepare a TST before I went away. These blog posts actually take me a long time to write as I like to include a lot of information. However I will be able to write this series over the next few weeks as I’m not going away anywhere. This TV series is an American based cop program that follows the lives of five new rookies as in new cops. It’s based in Toronto, Canada where they face day to day tasks and life and death situations. There are currently 6 seasons which follow the lives of the rookies both at work as well as at home. Each episode is brilliant and there’s often a shock or two. We see new faces in each season and grow to love or hate them all they all have an important part in division 15. Rookie Blue is one of the most exciting cop programs for me as I’m in love with any cop program. However because this is fictional the story lines are often exciting to watch. Not to say that these scenarios haven’t happened or won’t happen in real life the program itself isn’t based on true life events. There’s so much love and friendship in the program that you genuinely grow to love the characters as if they were real people. I guess the only bad things are that I have to wait ages between seasons as it’s often aired in the USA/Canada first and then the UK. Also it’s hard to see your favourite characters leave the series but you kind of grow a thick skin as people you love leave most things so you kind of just have to get over it. How long have I been watching for? I have watched it ever since it started however I think I was late on the bandwagon and I ended up watching seasons 1-4 all in one go on Sky Go (Life saver!) I can’t quite remember how I stumbled across it but I’m so glad that I did because it’s such a good program. I always sequel when my favourite people get together as a couple or I get upset when one of them gets hurt. Not like crying upset but more like oh no why did this happen to them! I could honestly see Rookie Blue going on for another four series which would make it ten series in total. It definitely has the legs to go that far it’s just whether the writers/producers take it that far. 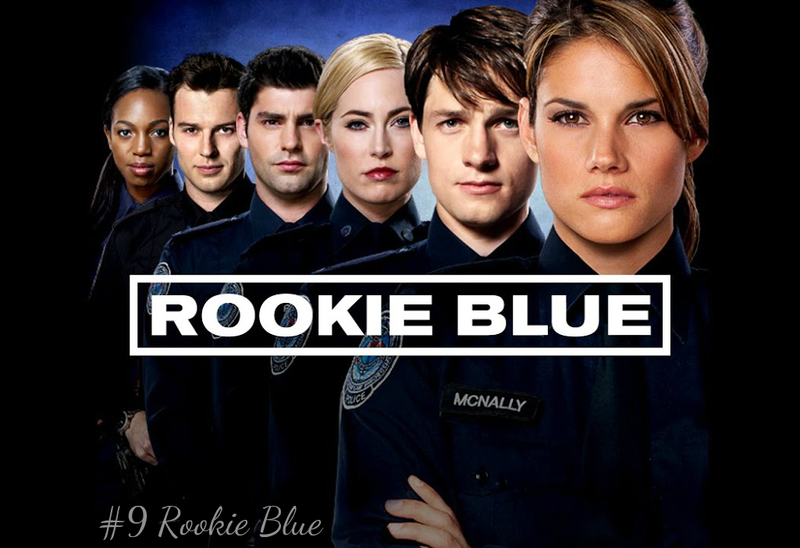 Much like Greys Anatomy, CSI NY or Desperate Housewives they were/are great TV shows that lasted ages and I could see Rookie Blue being exactly the same as it has a strong fan base which continues to grow. "7 Things You Need This Autumn/Winter"